The winner of an architectural competition from project developer, Gross & Partner for the new design of the former Deutsche Bank area has been declared: the architectural office, UNStudio from Amsterdam unanimously won the award. The second and third prizes went to the applicants’ associations Dudler / Jahn and MSW / Snohetta respectively. The design by Christoph Mäckler / CoopHimmelblau also received special recognition. 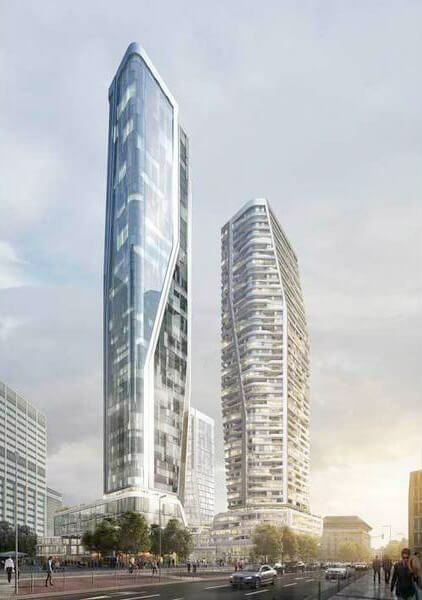 The challenge in this design was to create a mixed-use, urban city quarter, consisting of four high-rise buildings and a multi-storey connecting pedestal building, covering retail, restaurants, hotels and housing. 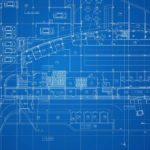 The project will also include 8,000 square meters of floor space according to the funding programs of the city of Frankfurt am Main and the State of Hesse. 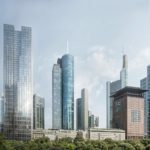 With this project, the Frankfurt skyline will be extended and redefined by four high-rise buildings. The tallest of the towers will reach a height of 228 meters. For those who would like to see the contributions of all architects, from March 4, 2017 to March 18, 2017 they will be exhibited at Junghofstraße 11 on the former Deutsche Bank premises. Michael Wutzke on Can the urban development in Toronto be a model for Frankfurt? Talon Jalloh on Can the urban development in Toronto be a model for Frankfurt? Please give this page a 5 star rating! We are sorry that this post was not useful for you. 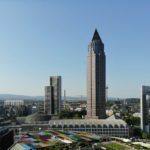 – Do not miss any news about the Frankfurt skyline. Everything firsthand. – Receive news before being published on SKYLINE ATLAS via social media. – Alerts about new content in the SKYLINE ATLAS that aren’t available on social media at all. SKYLINE ATLAS is the information medium on the skyscrapers in Frankfurt. Here you will find next to worth knowing details on the single skyscrapers especially also urban development trends, development plans and interviews with key people.